The storied Strand Theatre, a century-old cornerstone of Upham’s Corner, has been dark on most nights in recent years. But when Boston’s million-dollar movie palace debuted on November 11, 1918, its lights blazed red, white, and blue—news of the armistice ending WWI had arrived that morning. So the first ticket holders were in a celebratory mood, to put it mildly, when the doors opened at 543 Columbia Road. Greeted by white-gloved ushers, the patrons passed tapestried walls and peered into a lobby aquarium filled with exotic fish before taking their seats for the double feature: Out of a Clear Sky, a romance starring actress Marguerite Clark, and Queen of the Sea, a fantasy featuring Aussie swimmer Annette Kellerman (who’d made local headlines 11 years before when she was arrested on Revere Beach for her “indecent” one-piece bathing suit). The Strand’s opening made headlines, too. A crowning jewel in local entertainment mogul Nathan Gordon’s empire of 75 movie houses, it was dubbed “New England’s most beautiful theatre” by the Boston Sunday Post, which declared it “a lasting monument to an ideal—the ideal of building a great people’s theatre” with tickets “at prices so moderate that all the people could easily pay.” The building was designed by Funk & Wilcox, the Boston architectural firm that had drawn blueprints for Davis Square’s Somerville Theatre a few years before. But while the Somerville Theatre was merely one component of a building that also housed a bowling alley, a billiards hall, and a ballroom, the Strand was the main attraction. It was grander in scale, too, and the architects calibrated their ambitions accordingly. Corinthian columns cropped up on the mezzanine; ornate boxes adorned the auditorium; a triumphal arch and a parapet proclaimed the theater’s name. 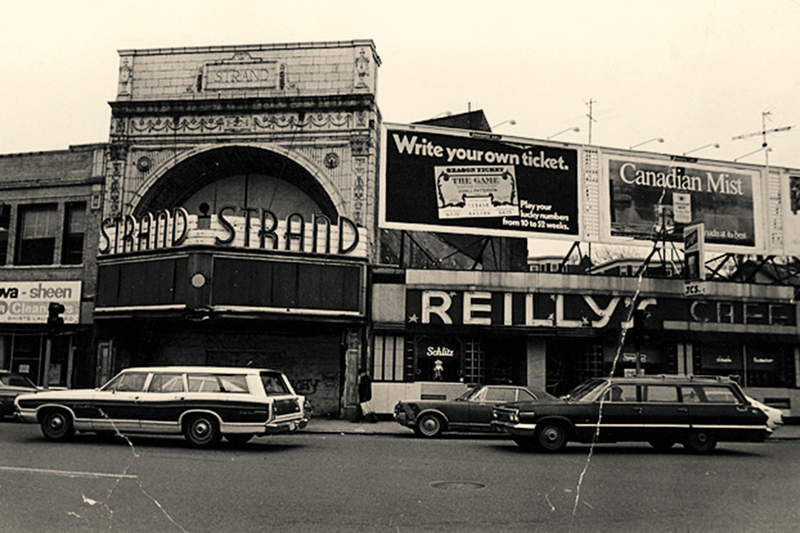 Indeed, the Strand put the palace in movie palace—until declining ticket sales led to its shuttering in 1969. 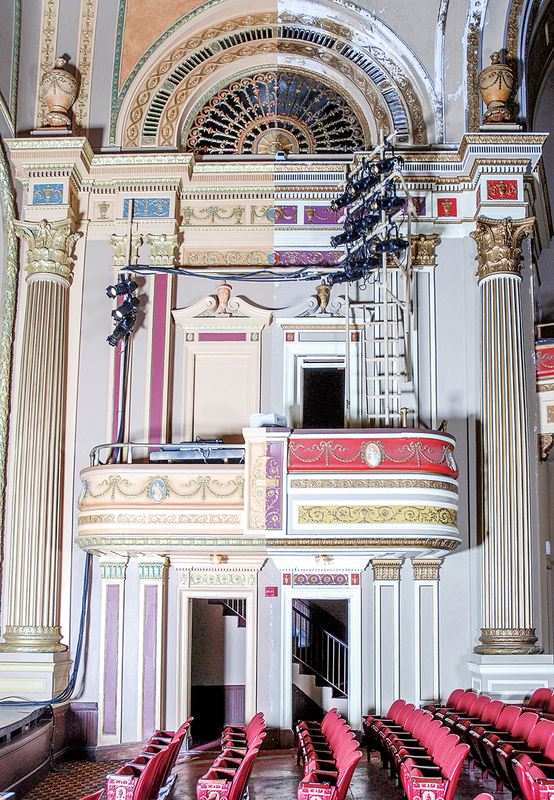 In the next decade, Dorchester residents banded together to give the theater a second life. In 1979, the city of Boston granted the nonprofit they founded, the M. Harriet McCormack Center for the Arts, a 25-year lease, charging a dollar in annual rent. The Strand reopened with a swinging set by the Count Basie Orchestra, and over the next quarter-century, everyone from B.B. King to Tracy Chapman to Public Enemy hit the stage. It also hosted dance, drama, and the Strand Teen Players, a program that offered local youths intensive training in acting and theater production. Fourteen hundred seats can be hard to fill, however, and consistent programming hasn’t returned to that beautiful room. Since a short-lived Fiddlehead Theatre Company residency ended in 2015, the stage has seen only a few annual events—holiday performances by José Mateo Ballet Theatre, April’s Louder Than a Bomb youth poetry slam—and occasional one-off bookings. 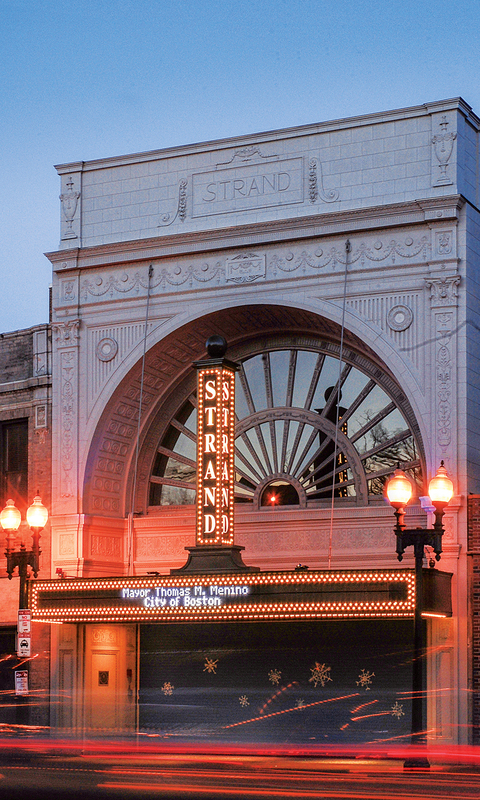 Yet as its centennial approaches, there’s reason to hope the Strand is ready for its next act. Creating an Arts Innovation District in Upham’s Corner is a goal of Mayor Walsh’s Imagine Boston 2030 plan, which calls for the theater’s revitalization. The city has hosted community discussions on the Strand’s future, soliciting feedback to shape a request for a new operator. And the stage lights are heating up in the meantime: In July, Company One’s world-premiere production of Leftovers opened its month-long run, the venue’s lengthiest in years. Tickets were pay-what-you-can—a reminder that the Strand could play a role as a great people’s theater in its second century, too.